As I write this, it's cold and rainy so sadly these wedges won't be making an appearance again anytime soon. Which is a shame because they are so comfortable and the height makes me feel like a supermodel! Ha! I don't tend to wear super high heels anymore, but the wedge style makes it easier to maneuver since there isn't a drastic height difference between the back and front part of the shoe. 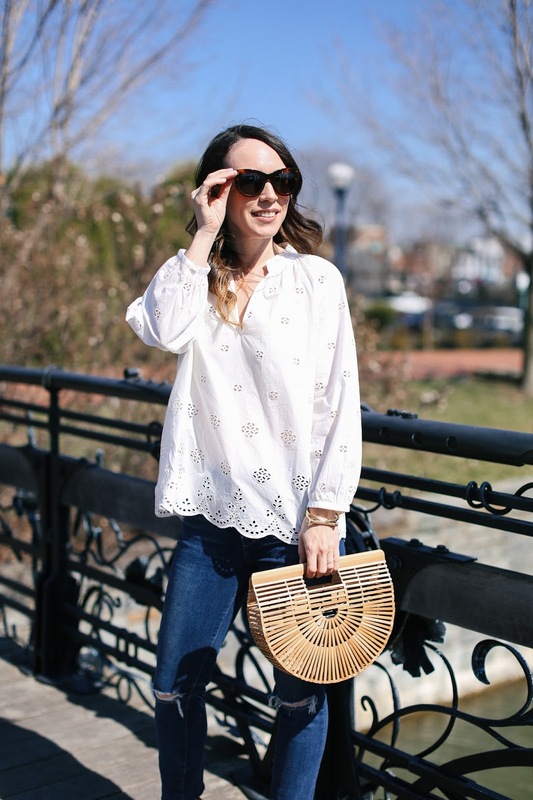 This outfit is one of the reasons I love the warmer weather - it is effortless and easy. 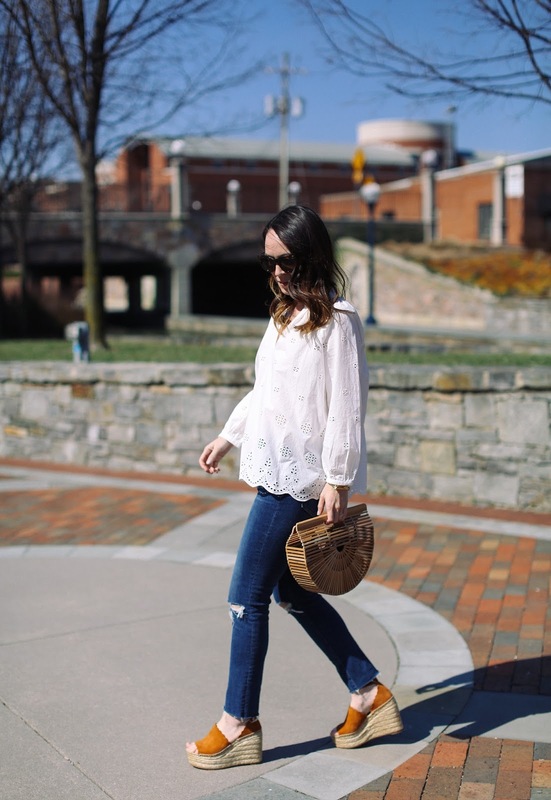 A flowy white blouse (that can be worn so many different ways), skinny jeans and sandals is a look that is easy to replicate so many different ways and yet still looks fresh and new each time. Besides these wedges that I'm wearing in the post, I have been living in these when the weather warms up enough for it. They are insanely comfortable as well and the detailing makes them so unique. There are so many great wedge styles out now that fit just about every preference and price point. I searched for the ones that I thought were the most appealing and versatile and put them all in the widget below. Now all that is left to do is wait for the weather to catch up to my closet. Ugh!